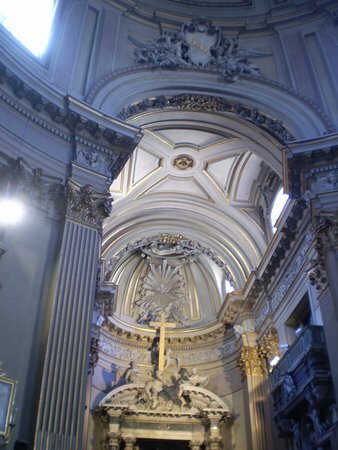 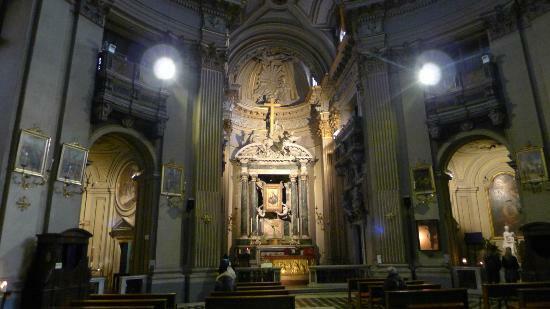 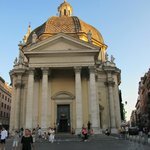 There is an embarrassment of riches in Rome, in terms of beautiful churches. 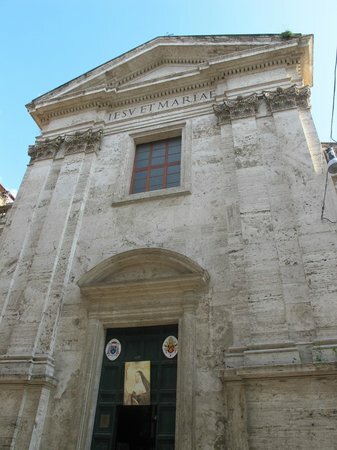 This is one of several within a 10 minute stroll that is well worth a visit. 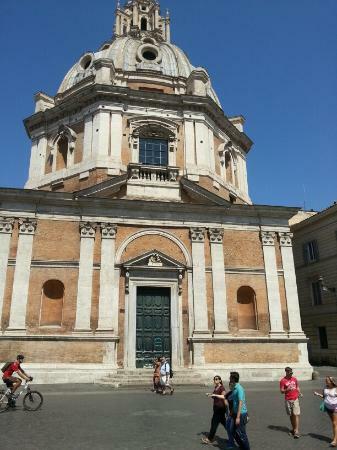 Two same churches outside on a beautiful square. 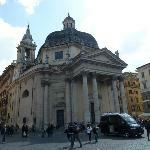 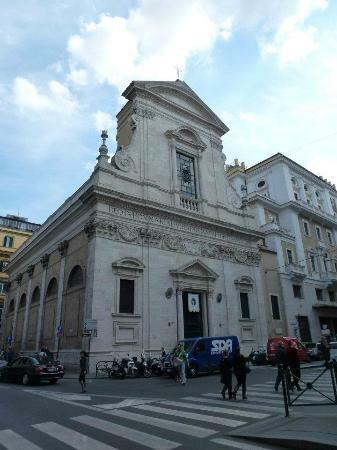 It is interesting to find twin churches in a city like Rome. 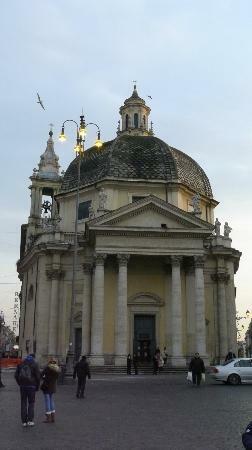 Santa Maria dei Miracoli and Santa Maria in Montesanto are twin churches. 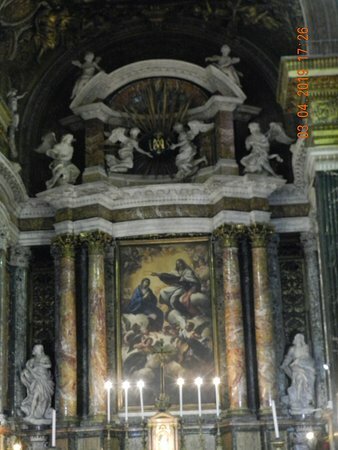 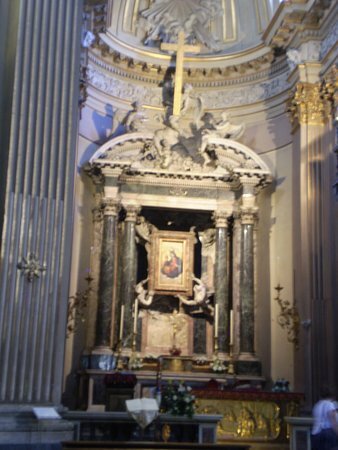 Interesting is the altar has an image of the miracle. 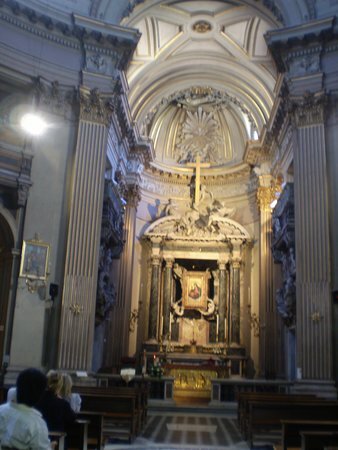 This church is almost identical to its twin sister church Santa Maria in Montesanto. 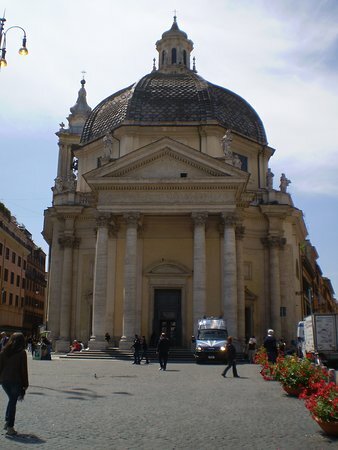 They both occupy one end of Popolo Square and are a nice to look at (although quite ordinary inside). 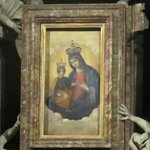 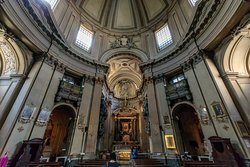 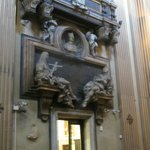 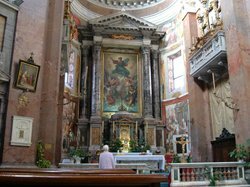 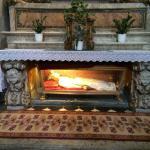 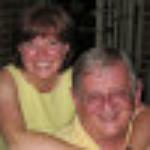 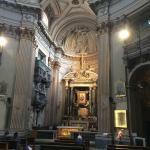 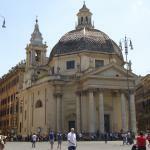 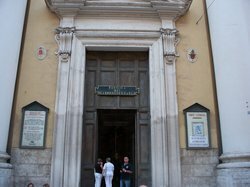 Get quick answers from Santa Maria dei Miracoli staff and past visitors.